The village of Bradley and the Woods have been in existence for over a 1000 years. Bradley and (Broad – wood as stated in 1086) are mentioned in the dooms day book. It is on the outskirts of Grimsby on the road to Waltham. Although the woods of the estate and the manner are now smaller than they were originally it is still a nice place to see nature in their natural habitat and is a wood used by many locals and people in and around the surrounding areas of Grimsby. During the War of the Roses a woodsman and his wife and baby son lived in a small cottage in Bradley Woods. The woodsman went and served in the army for the Earl of Yarborough. Each day it is said the mother would take her baby down the side track of the woods and wait at the edge and look out for her husband. Many months past and she heard no news of him. One day when she was leaving the cottage she was set upon by three cavalry men and was ravished and then they took her baby boy and rode off with the child laughing as they went. The enemy was said to have been in the area at this time as they were travelling from across the Humber whilst on their way to attack Lincoln. She searched in the woods for her child and continually for her husband in vain until it was said she died of a broken heart. 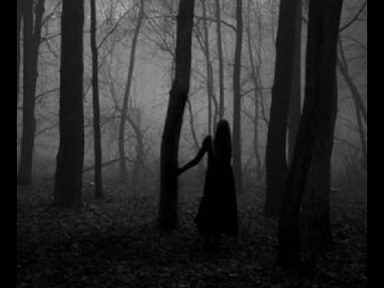 The Black Lady as she has been called has been seen by cars and passers by stood on the corner of the woods on the grass waiting although she has also been seen near the entrance to the woods. It has been reported by several people in the Grimsby Evening Telegraph through out the years that a strange light appears and goes in front of the passing cars. Many have come off the swerved off the road to avoid hitting her. It has also been stated that people have stopped as when she walked in font of the car they heard a bump and thought they had genuinely hit a person in the road only to find that they had not and no one was there. Strangely one of the accounts I found when doing some more research on this ghost but was not reported to the local paper is very similar in description to that of my own mother’s accounts of the ghost lady in black. 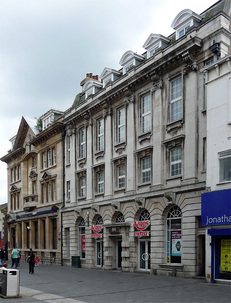 The former Post office that is now an Argos store at 64 Victoria St in Grimsby is reported to be haunted. A former post office worker often made reports about a ghostly figure walking up the stairs at night in the old part of the building. It was that bad at times whilst working the night shift workers would not go into that part of the building alone. To this day it is unknown as to the ghost was male of female. 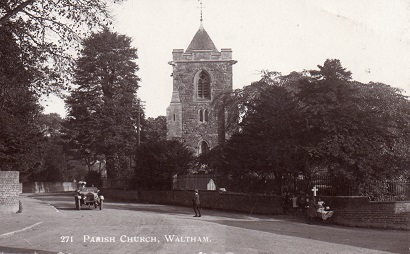 But some people believe that the building is now stood on the former cemetery of the now long gone St Marys Church. Other reports have since been made stating that is was the ghost of a former post man who was killed in the second world war, and even the shop situated at the side of the old building claim to have paranormal occurrence taking place on a regular basis. Back in the late 1990s a carol service was taking place at Waltham Church. With it being near Christmas the place was packed with people getting into the Christmas spirit. The choir came into the church singing ad made its way down the central isle to their pews which were towards the back on the right hand side. However one person wasn’t looking at the choir, their eyes were transfixed on the figure of a priest dressed in old fashioned robes, who was reading the hymn books. What was strange about this was that the priest was transparent, you could see straight through him. The choir began to walk down the isle and the figure vanished without a trace.